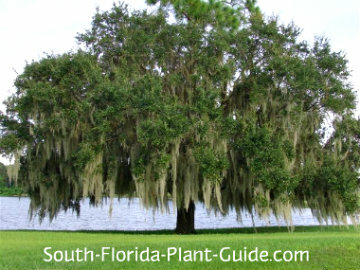 The ultimate in trees for shade, the live oak tree has been immortalized as the classic symbol of the South - big, beautiful, and romantically draped in Spanish moss. No plant has quite the "presence" of this magnificent tree. It can survive for centuries. It provides shelter and food for birds and squirrels. It even adds monetary value to your home. Beautiful at every stage of its long life, a live oak's silvery gray branches on young trees mature to unbelievably long, thick ones from an immense trunk. The wood itself is dense and heavy, ideal for everything from firewood to ship building. During the War of 1812, cannon balls bounced off the sides of the USS Constitution, giving the ship the nickname of "Old Ironsides." The ship was built from live oak wood. In fact the Navy used to grow its own forests of live oaks. Many people complain of live oaks as being very messy trees. They're right, once the tree is mature. It drops leaves that are small and hard to rake. Spanish moss is decorative on the tree but falls in big furball clumps onto the ground. The tiny yellow flowers in spring can cover everything beneath the tree with a light dusting of yellow. Some acorns sprout - often planted by squirrels burying food for "later" - and are so well-rooted they can be difficult to pull out. 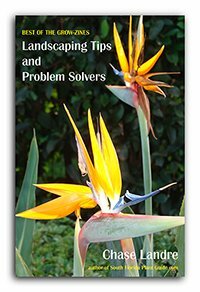 Add top soil to the hole when you plant. 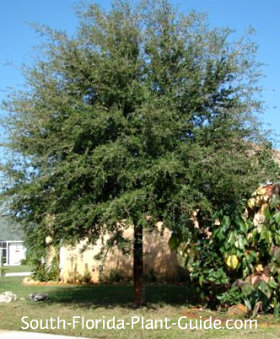 Trimming is unnecessary for a young live oak tree but watering is. 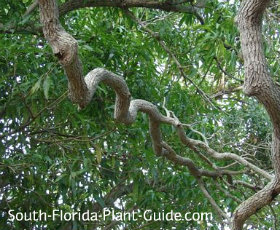 These trees must have regular irrigation to grow strong root systems that will support this large a tree. Plant at least 15 feet from the house, more (and then some) if you can. Come away from a walk or drive 10 feet or more so roots don't cause problems. 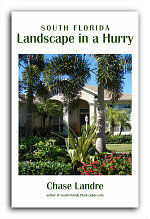 Avoid placing near other big trees that will shade it. Do not plant too near an uncaged pool due to leaf litter. 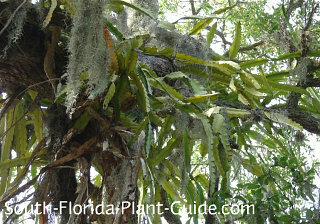 COMPANION PLANT SUGGESTIONS: Don't plant under a young oak tree and keep turf grass from growing right up to the trunk. 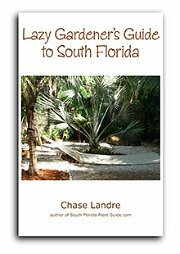 Once the tree has matured, you can tuck bromeliads around the base. 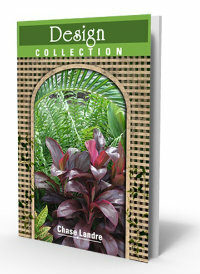 Nearby plants that love the dappled shade of the oak's big canopy might include peace lily, fern, croton, chenille plant, ginger, dwarf azalea, golden shrimp plant, and elephant ears.